The UK government wants energy suppliers to install smart meters in every home in England, Wales and Scotland. Energy companies are racing to install 53 million networked devices by 2020 and management is often at the heart of the discussions around delays with the installation of gas and electricity according to the Department of Business, Energy and Industrial Strategy (BEIS). Meanwhile, Ofwat, the water regulator is also rolling out the smart water meters plan alongside, and Thames Water recently trumpeted the installation of its 100,000th water meter in the London Borough of Bexley. In both cases, installations take place in the field and by teams collaborating across the value chain with smart water meter contractors such as Arqiva, Capita, CGI IT, Telefonica and Gemserv, and smart energy meter contractors such as Trojan Ltd, CH4 Ltd, Qton Ltd. Team performance management is therefore quite a complex and challenging for Operations Managers and their Team Leaders. Yet teams efficiency is crucial to speed up the roll-outs based on a style of leadership driving performance improvements. 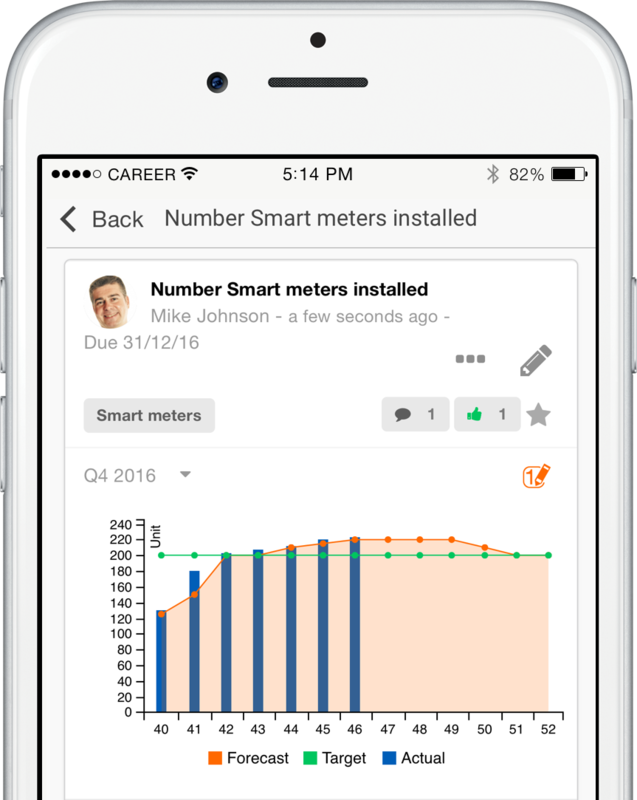 Associate goals with a performance metric (KPI) for instance the number of smart meters installed per team per week. Align goals to the wider business scope or the installation Service Level Agreement. Practice agile management to face the most unexpected changes in the field. Use a digital solution promoting team performance and collaboration across the value chain. Whilst job management solutions ensure all tasks on the list are completed, only goal management solutions reconcile each task with the expected outcome of your smart meter installation Service Level Agreement. Whether a contractor or an employee, every team member is really motivated as they see in real-time their contribution to the strategic targets (Illustration 1). Field engineers save hours of their precious productive hours not returning to the office to report work progress but doing so from the field. With the field force updating work progress in real time, Team Leaders save 30% of their time as they no longer need to prepare weekly reports. 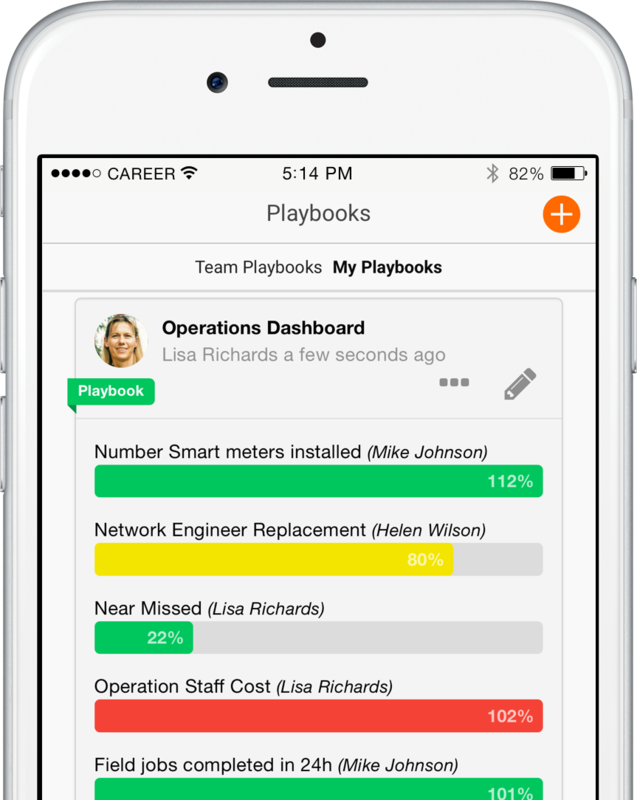 By monitor work progress in real time with Agily app playbooks (Illustration 2), Operations Managers and field team Leaders instantly spot deviance from the expected roll-out and make adjustments “on the fly” to avoid skidding. Individuals or teams receive more coaching and mentoring through more regular check-ins using dynamic playbooks. Want to know how to speed-up your smart meter roll-out?